The location that I visited at 509 E Main St is mainly for brewing. However, they are opening a dedicated coffee shop which I was just a few days too early to visit. The entrance is on the side of a brick building downtown and you have to walk through an outside door before you get to the door of the actual building. So, it feels like an under the radar location. The inside is raw and industrial with steel, concrete, and wood. 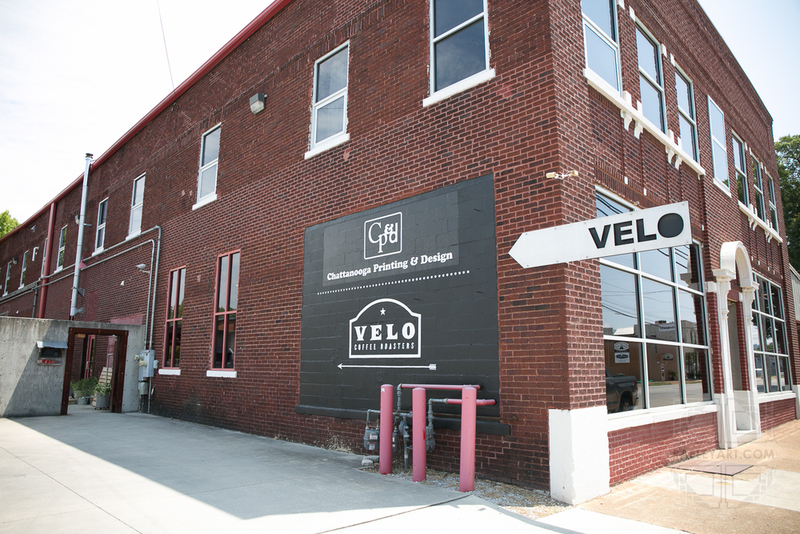 You see burlap bags of coffee, a packing station, and brewing tanks when you walk in. The service is casual and friendly, maybe because of the low profile location. There aren’t many places to sit and work, so it’s more like a coffee place that you pop in, chat with the barista, get your coffee, and leave. However, this means that the barista isn’t bogged down with a bunch of orders so she can chat with you about the coffee world, Chattanooga, or the new location. However, I don’t recommend stoping by to flirt or tell the barista all of your problems like college kids to do to receptionists in college dorms. I can’t wait to visit their new location! The one disappointment that I had here was the lack of workspace. Their new location will solve that problem and if it’s anything like the one I visited, I want to be there. Check out their page for more information.